Dec 13th will mark the last day of funding for the State Government. Similarly, time is running out for the law that’s been preventing the Justice Department from meddling with the federal medical marijuana laws. So unless legislators ratify an extension on this deadline, laws protecting Marijuana Sales will be no more. Remember, DEA agents won’t be relieved of their duties and will act as watchdogs for the Department of Justice which may take advantage of the this opportunity and use it to enforce state marijuana prohibition whenever it feels like regardless of federal Laws. This means the U.S. Attorney General Mr. Jeff Sessions who’s been against decriminalization for a long time would get a lawful go-ahead ( for the first time since he assumed office in Feb) to order the Drug Enforcement Administration (DEA) and state prosecutors to conduct a crack down on medical pot patients and dispensary owners. According to the Department of Justice, all DEA agents are “excepted” from vacation because they play a significant role in counternarcotics investigations. The Justice Department’s Government shutdown contingency plan insists that DEA investigations should carry on uninterrupted to ensure ongoing cases remain uncompromised and the safety and well-being of Americans is not put at risk. And the same applies for state prosecutors. The shutdown plan points out that as appointees of the President, U.S. Attorneys are also “excepted” from furlough. As a result, all employees that are not subject to rest should address urgent ongoing criminal and civil concerns throughout the country. The medical marijuana budget proviso was first passed into law in 2014, and since then, it has been extended for every successive budget year. In May 2017, Mr. Sessions wrote to congress leaders requesting them not to carry on with the medical pot rider to next year. In his letter, the Attorney general stressed the need to allow the Justice Department the green light to use all applicable federal laws to fight dangerous drug organizations and traffickers who endanger the lives of innocent American citizens. These heated debates are enough proof that the government shutdown which is now set to occur could leave medical marijuana dealers in the hands of cruel law enforcers. 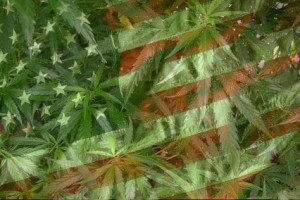 This entry was posted in Recreational Marijuana and tagged countries where marijuana is legal, Crackdown on Marijuana Dealers, how many states is marijuana legal in, in what states is marijuana legal, is marijuana legal in alaska, is marijuana legal in arizona, is marijuana legal in california, is marijuana legal in canada, is marijuana legal in colorado, is marijuana legal in dc, is marijuana legal in florida, is marijuana legal in hawaii, is marijuana legal in illinois, is marijuana legal in jamaica, is marijuana legal in maine, is marijuana legal in maryland, is marijuana legal in massachusetts, is marijuana legal in michigan, is marijuana legal in nevada, is marijuana legal in new york, is marijuana legal in ohio, is marijuana legal in oregon, is marijuana legal in texas, is marijuana legal in washington, is marijuana legal in washington dc, is medical marijuana legal in florida, is medical marijuana legal in ohio, is medical marijuana legal in texas, Legal Marijuana, Legal Marijuana States, legal marijuana states 2016, marijuana legal, marijuana legal california, marijuana legal in california, marijuana legal in florida, marijuana legal in texas, marijuana legal states, marijuana regulations, Marijuana Sales, medical marijuana legal in all 50 states, medical marijuana legal states, recreational marijuana legal states, states legal marijuana, states where marijuana is legal, states where medical marijuana is legal, states where recreational marijuana is legal, states with legal marijuana, what states is marijuana legal, what states is marijuana legal in, where is marijuana legal, where is marijuana legal in the us, where is marijuana legal in the world, where is medical marijuana legal, why marijuana should be legal by admin. Bookmark the permalink.